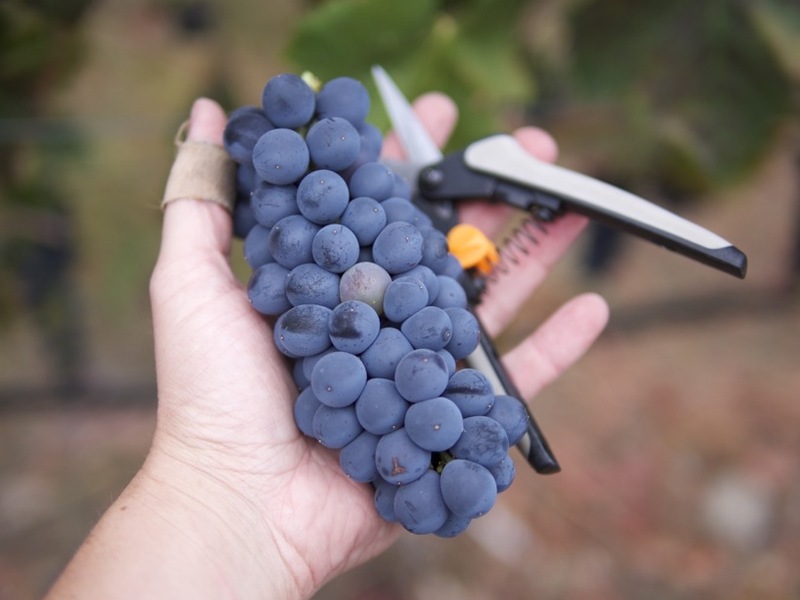 With so many wineries in California, it’s incredibly important for new producers to find an angle or niche that sets them apart from the rest. 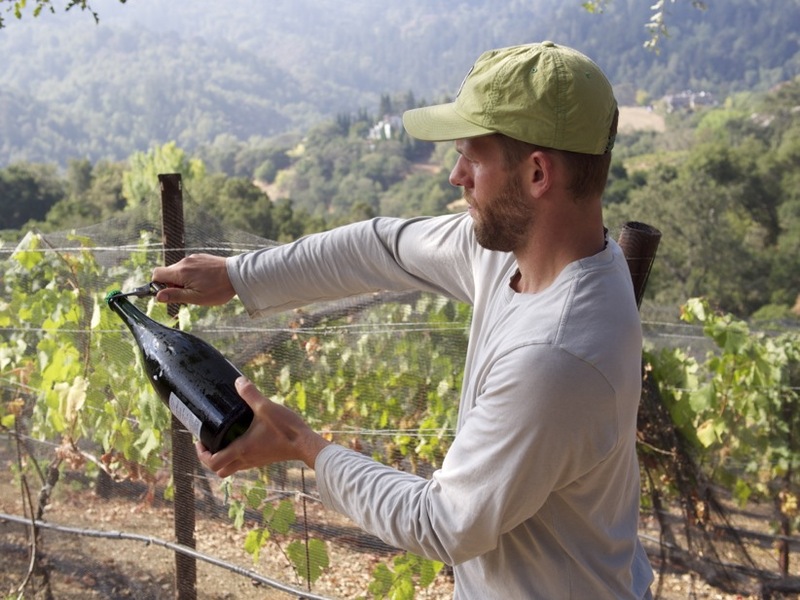 Enter Sam Bilbro, a California native who makes soulful wines under the label Idlewild Wines. His focus is primarily wines made from Piedmontese grapes, such as Nebbiolo, Cortese, Arneis, Barbera, and Dolcetto. In a sea of Cabernet Sauvignon, Pinot Noir, and Chardonnay, these Italian-inspired wines are a breath of fresh air. I first learned about Idlewild while tasting with their distributor last year. I was looking for interesting California whites and they showed me Idlewild’s 2013 Arneis. I was taken aback by how different it was – rich and broad on the palate, floral and aromatic on the nose, and balanced with a nice fresh finish. I introduced this wine to the Winelandia wine club last spring. Just last week I had a rare opportunity to visit Sam’s new production facility (sorry kids, it’s not open to the public) – a warehouse in Geyserville which used to be home to a mushroom farm. 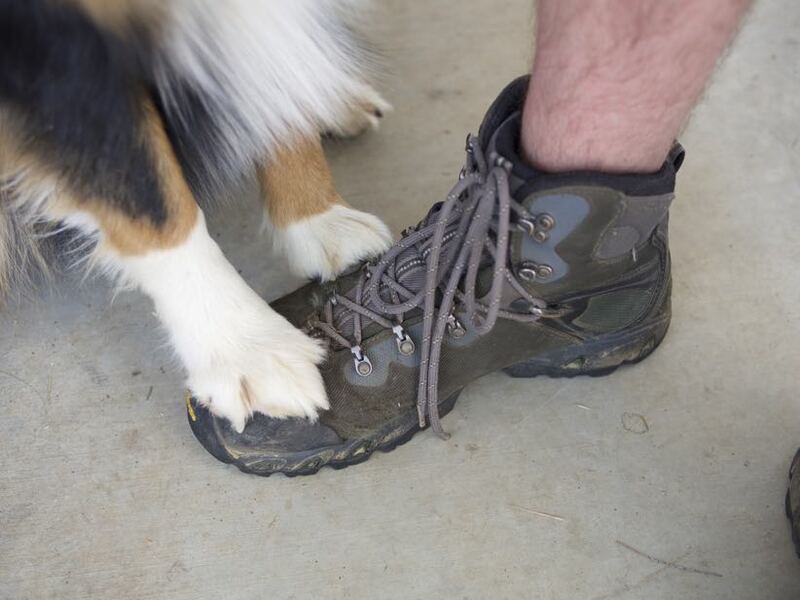 Sam informed me that the facility provides the perfect environment to make wine – cold, damp, and smack-dab in the middle of wine country. He is the first person to produce wine in the facility, which means that it’s unlikely commercial yeasts have set up shop in the building. 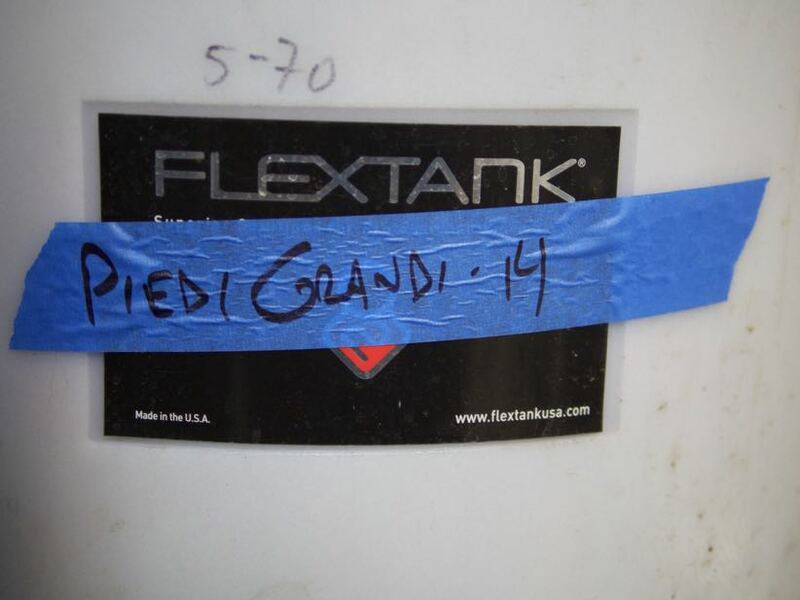 This is important for winemakers like Sam who utilize “ambient”, “indigenous”, or “native” yeast fermentations, as commercial yeasts tend to be a lot stronger than native yeasts and can take over un-inoculated fermentations. We tasted through a lovely lineup of Sam’s new releases, including his Arneis, The Bee (a muscat-based white blend), The Flower (a rosé blend), “The Bird” (a red blend), Barbera, and Nebbiolo. 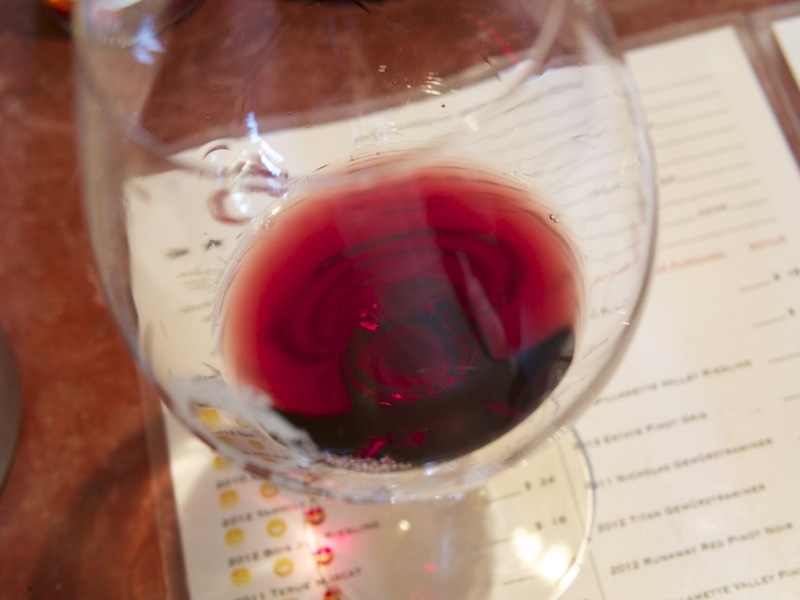 All of the wines seemed to follow a theme – bright, joyful, high-toned, aromatic, and varietally correct. Never before have I had a Nebbiolo from California that tasted like a proper Nebbiolo. I walked away from the tasting feeling invigorated and inspired; these are the kinds of wines that excite me. 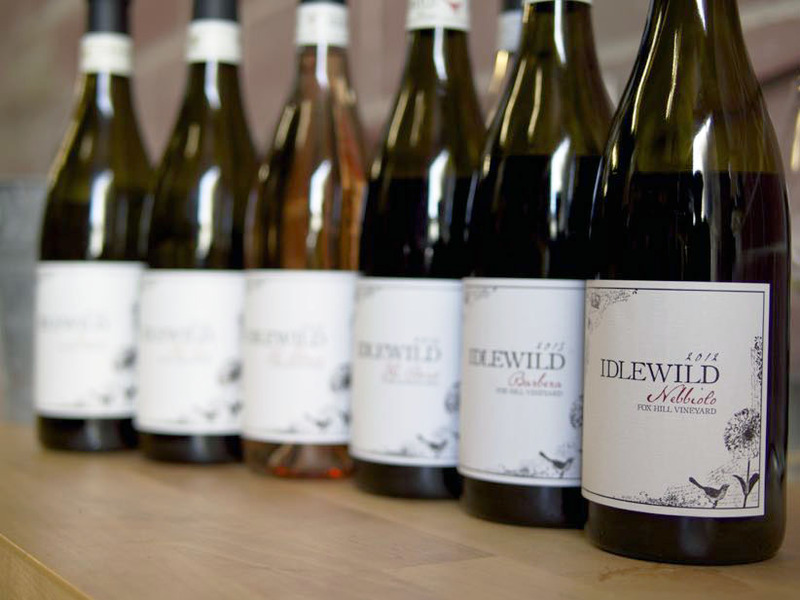 While we don’t have any Idlewild wines in the shop at the moment, we will be picking some up very soon. 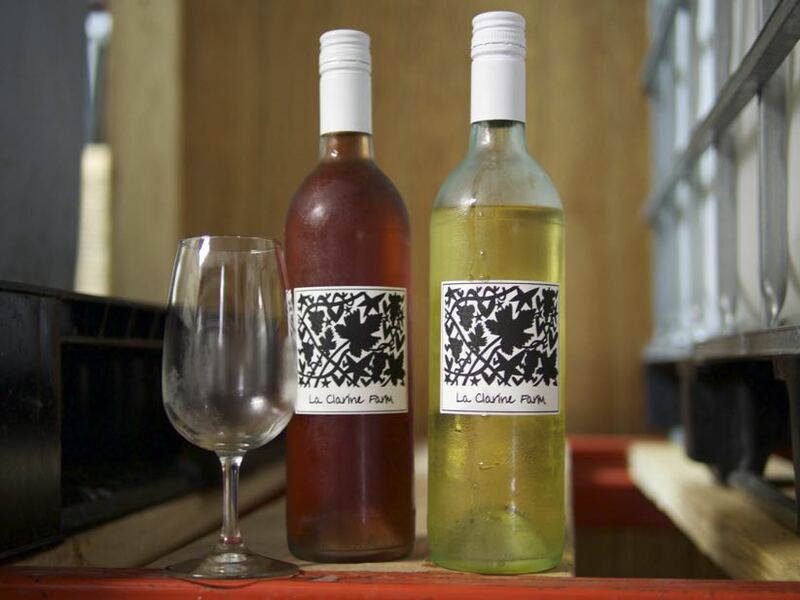 Keep an eye out in the Winelandia online store for these fantastic wines. If you just can’t wait, you can buy them directly from the Idlewild Wines website. 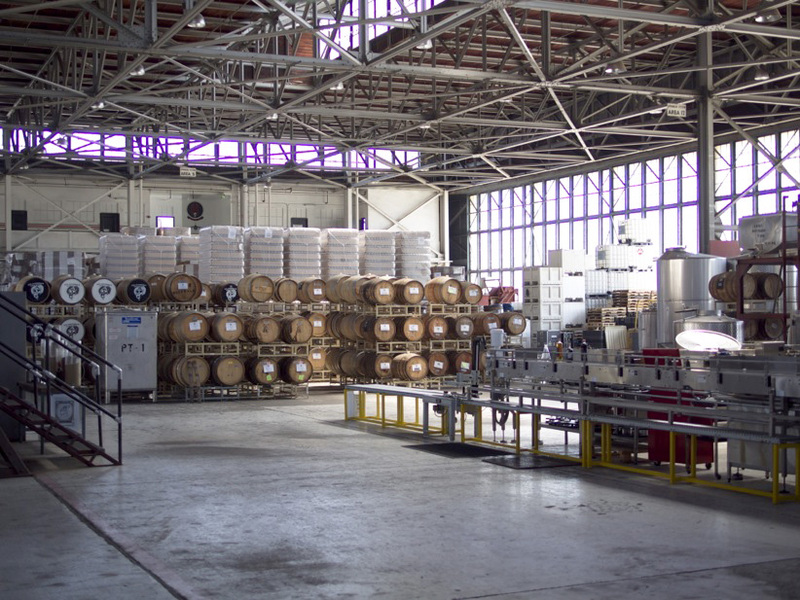 Did you know that Alameda’s former Naval Air Base is now home to a number of beverage manufacturers? Wineries, distilleries, and breweries – the craft beverage industry is booming on that little island next to Oakland. I had the opportunity to take a tour of the St. George distillery a few weeks ago in honor of a friend’s birthday, and it was great! 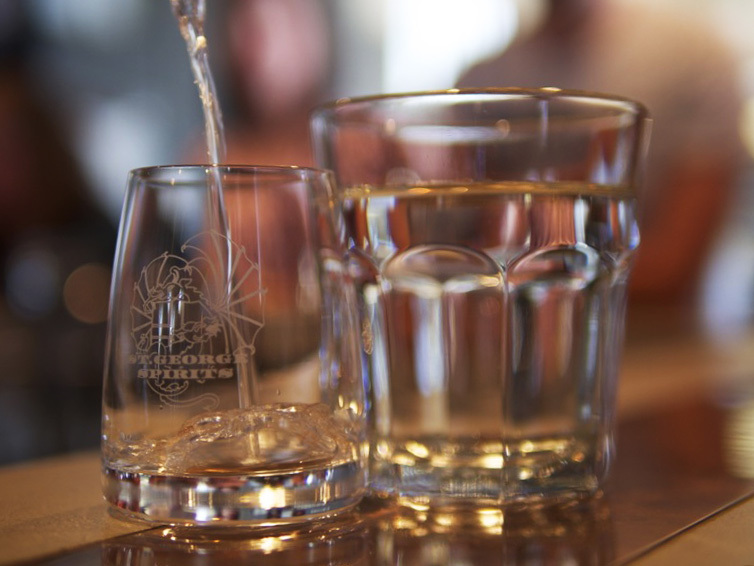 For just $20 and a reservation, you can take a tour of this famous distillery as well. Their claim to fame is being the first American beverage manufacturer to commercially produce an absinthe after the ban on it was lifted in 2007 (it had been banned in the United States since 1912). The prohibition of absinthe was due to the misconception that wormwood (one of the botanicals used to produce absinthe) made people hallucinate, crazy, and violent. Suffice to say, none of that was true, and since the repeal of the ban, absinthe production in the US has taken off. 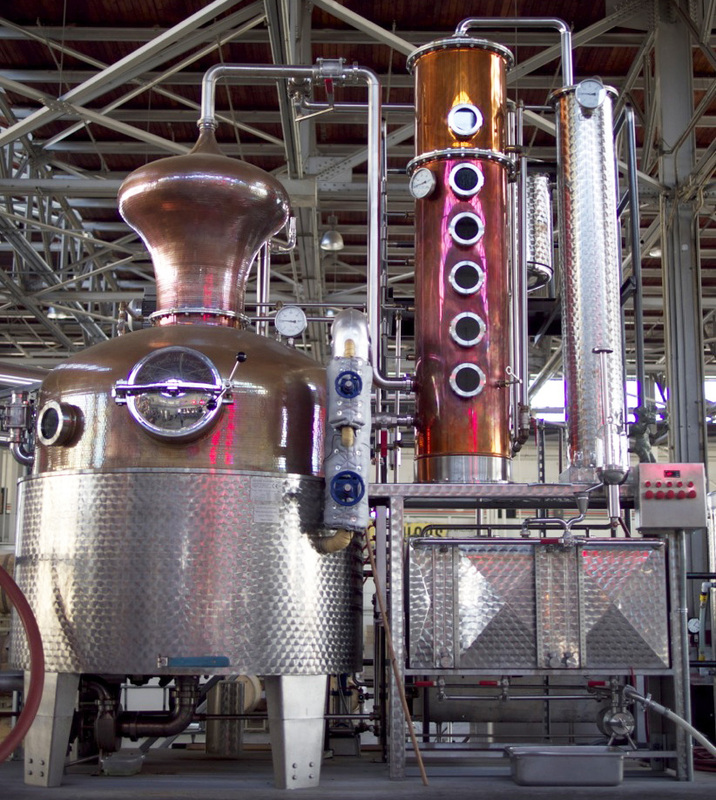 In addition to absinthe, St. George makes a number of other distilled spirits. 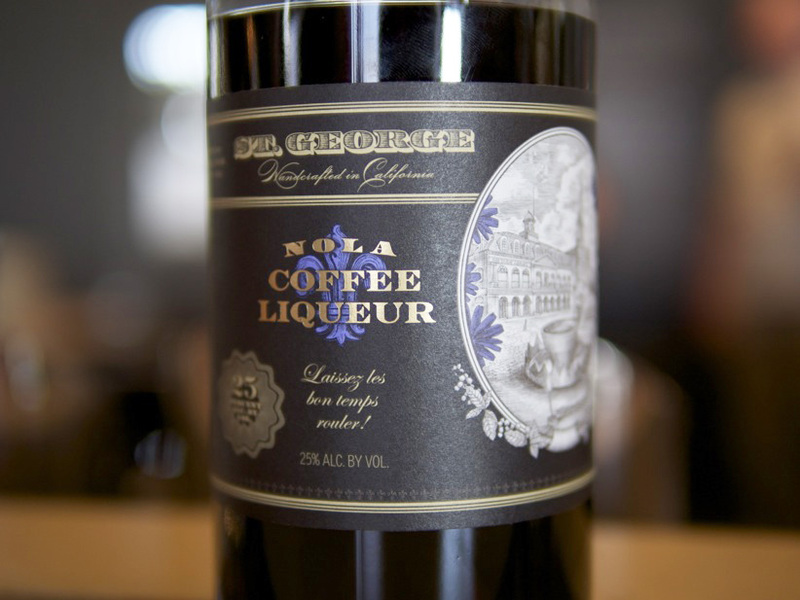 Coffee liqueur, a variety of gins, agricole rum (rum made with whole sugar cane, rather than molasses), fruit brandies, fruit liqueurs, whiskies, and bourbons. When you take the tour, they explain to you in great detail the process of making various spirits and the history behind absinthe, all while showing you around their incredible space. At the end of the tour, you are guided back to the tasting room, where you are walked through a tasting of their delicious spirits. My personal favorite was and has always been their “Terroir” gin, a spirit aromatized with botanicals straight from Mt. 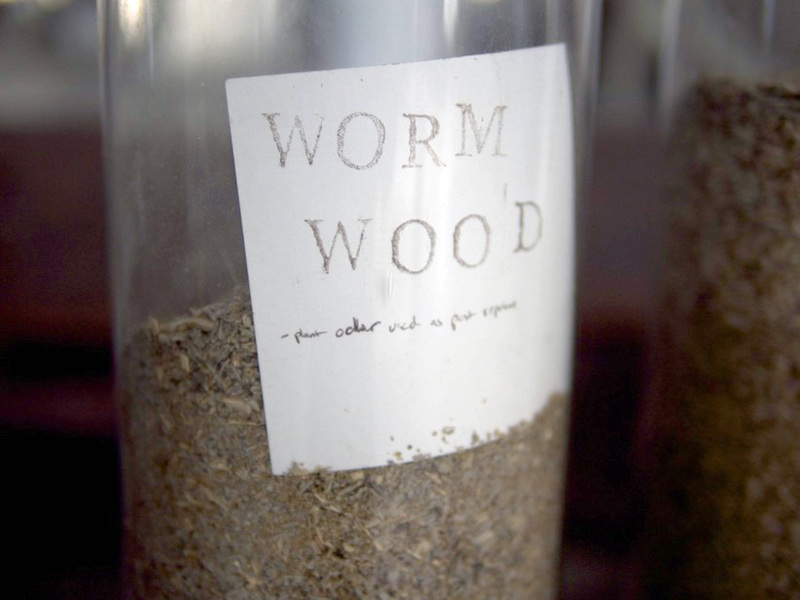 Tam – wild sagebrush, douglas fir, and bay laurel all come together to produce a libation whose aroma smells just like Mt. Tamalpais on a hot summer day. The agricole rum is really unusual and herbal, and smelled just like a dirty martini full of olives. I also really enjoyed the fruit liqueurs, which were sweet and fresh tasting. As a wine professional, it was really interesting and beneficial for me to see exactly how spirits are made. I spend so much time thinking about and researching wine, that I forget there is a whole world of other beverages out there that I don’t know anything about. If you are planning on going to Alameda, be sure to set up a tour of the St. George Spirits distillery – you won’t be disappointed! Monday morning, I got out of bed at 4am so that I could be at a Saratoga vineyard by 6am to help some friends pick grapes for a wine they intend to make under their new label, Thistle. The wine will be styled after those made in Côte-Rôtie – mostly Syrah co-fermented with a small percentage of Viognier (an aromatic white grape). 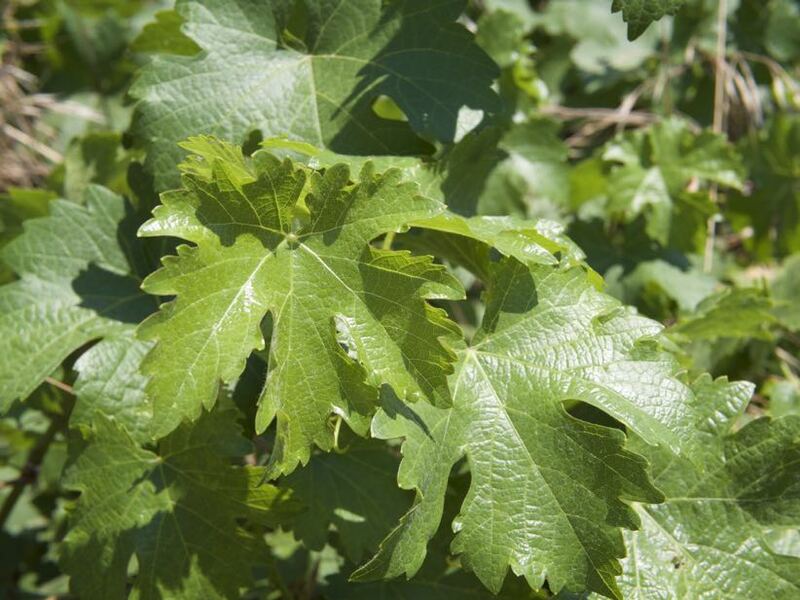 The idea behind adding 5%-10% of Viognier to your Syrah has a few purposes, but the primary idea is that the Viognier makes the wine more fragrant and floral, while also bringing out the aromatics in the Syrah. If you’ve never harvested grapes before, let it be known that it is some of the hardest work I’ve ever done. While the weather was initially cool and foggy, the sun eventually came out and gave us all a relentless beat-down. In addition to the hot sun, some of the vineyard was on a pretty steep hill, making it even more difficult to maintain a foothold and harvest the fruit. There were about 10 of us picking 1.25 acres, and while we worked hard, it still took us until about 3pm to finish the pick. The end result is highly satisfying, seeing the fruits of your labor (har) all neatly piled up in buckets and bins. The greatest part about harvest is the group effort and camaraderie – everyone is working as hard as you are, and plugging along towards the same goal. 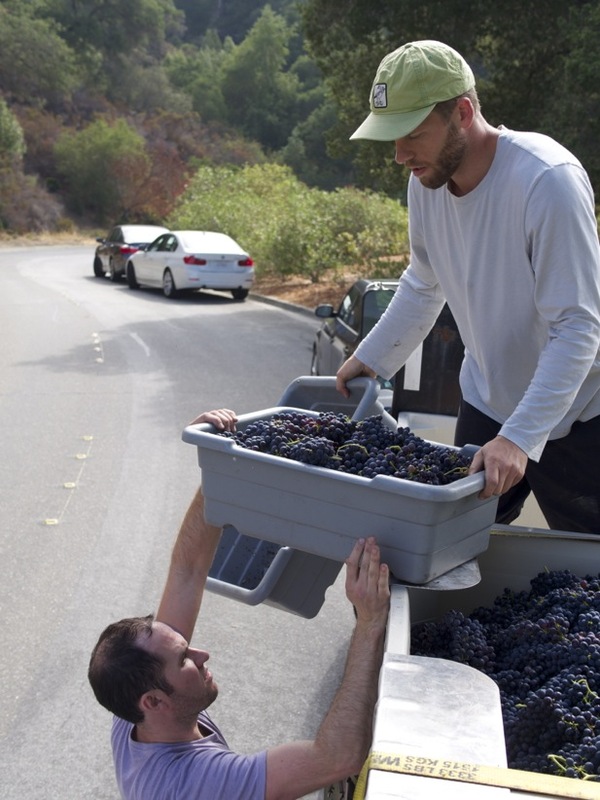 Most people don’t know how much manual labor goes into the production of fine, hand-crafted wine. 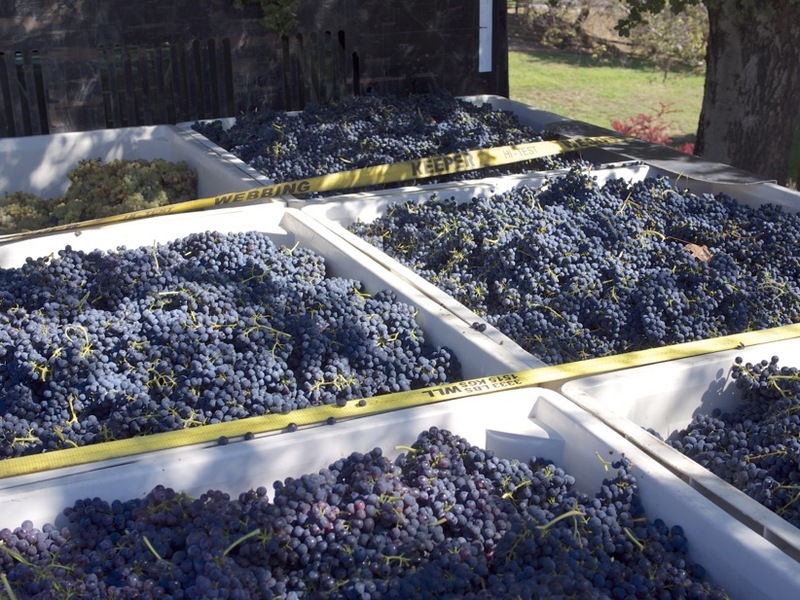 A lot of grapes are harvested by machines, but the best wines are gently harvested by hand. 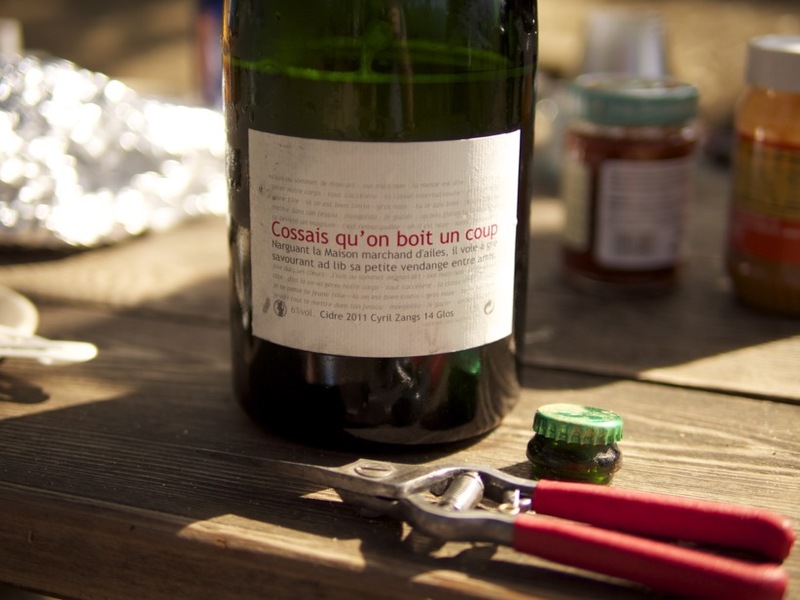 The hard work and heat were punctuated by copious amounts of barbecue, delicious cider from Normandy, a little bit of Champagne, and the company of good friends. The shady knoll we had our picnic on was a welcome oasis. Above: Thistle winemaker Aran Healy sabering a bottle of cider from Normandy with a pair of shears. 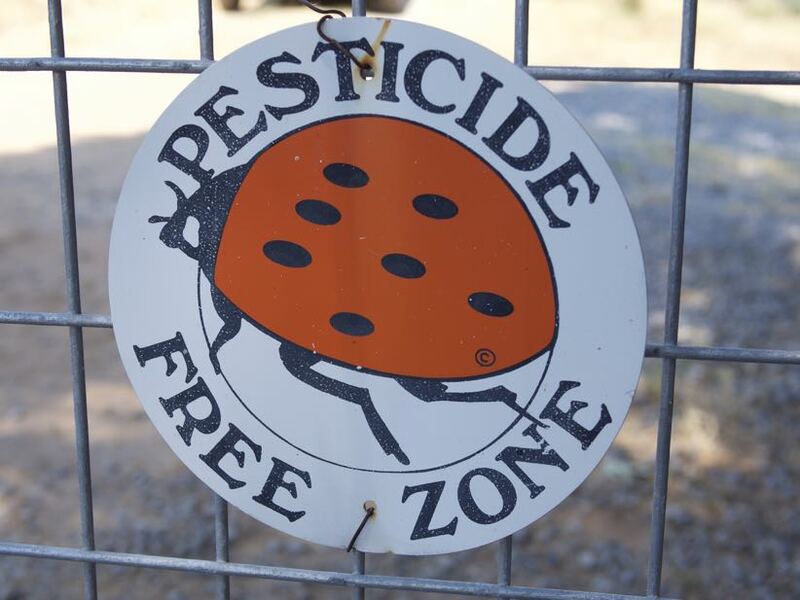 At the end of the day, we had harvested just over 2 tons of fruit (that’s over 4,000 lbs). I feel fortunate to know so many hard-working, ambitious, and creative people who make fine wine. I’m looking forward to trying the new Thistle 2014 Syrah/Viognier! Last week, I took a long-overdue vacation to see my brother who just moved from Oakland up to Portland. I decided to drive and make a few stops along the way. 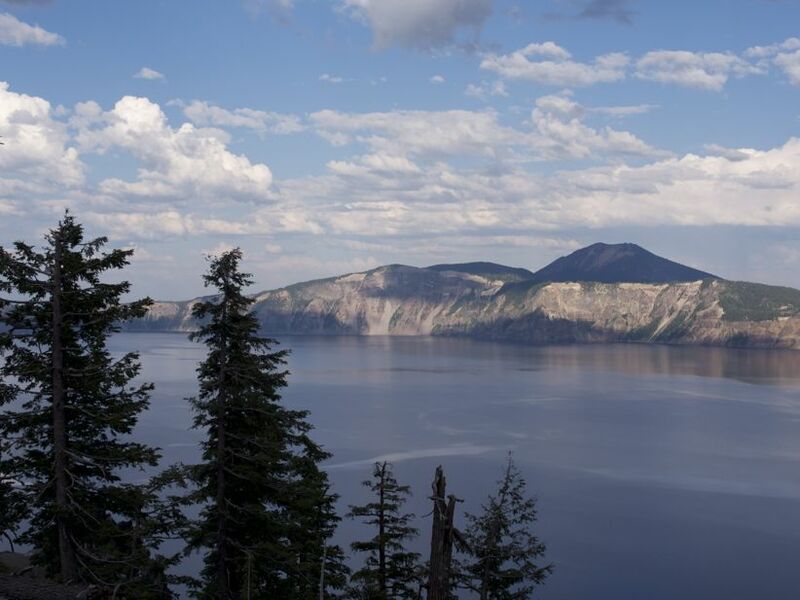 Our first stop was Crater Lake in Oregon, which is a surprisingly short-ish drive from the Bay Area. We made it in just about 7 hours. Unfortunately the campsites in the park were all full, so we stayed just outside of the park at Diamond Lake, where there were plenty of first-come, first-serve sites available. 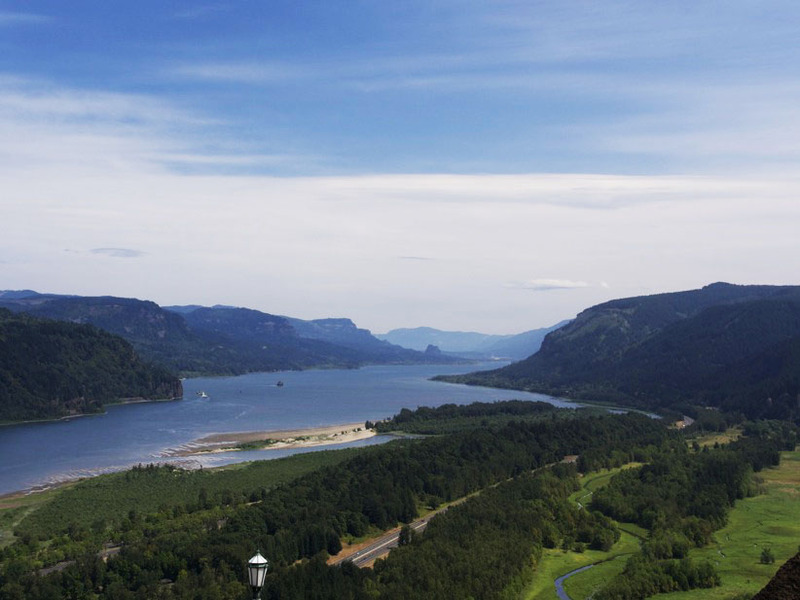 Our next stop was the Columbia River Gorge, which everyone was telling me I had to see. The above photograph is from the Vista House, just off Highway 30. 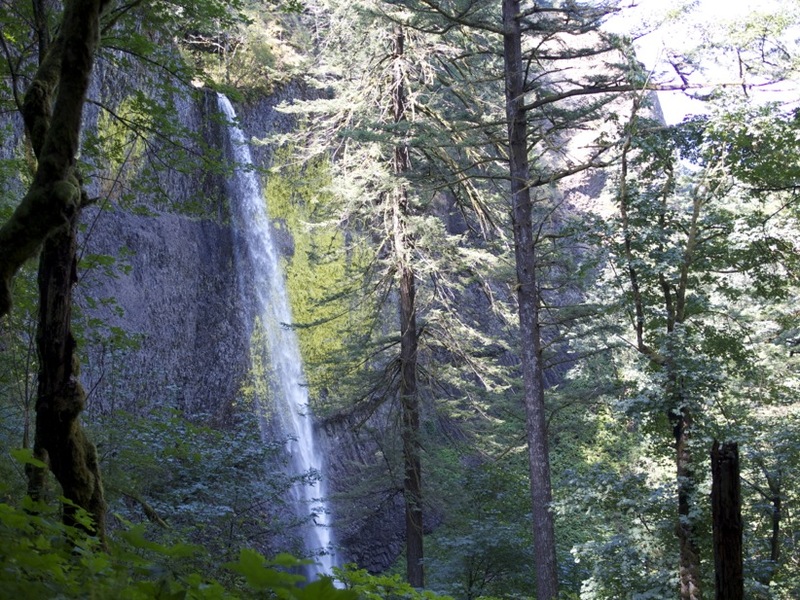 Along the highway that follows the gorge are tons of waterfalls and parks you can stop at and hike out to. We only made 2 stops, but saw plenty of glorious waterfalls. We may be in a drought down here in California, but up in Oregon everything is still lush and green. We also visited the Willamette Valley, a must-see winemaking region up in Oregon that’s just an hour or two outside of Portland. We paid a visit to Brooks Winery, Cristom, and Byrn Mawr. 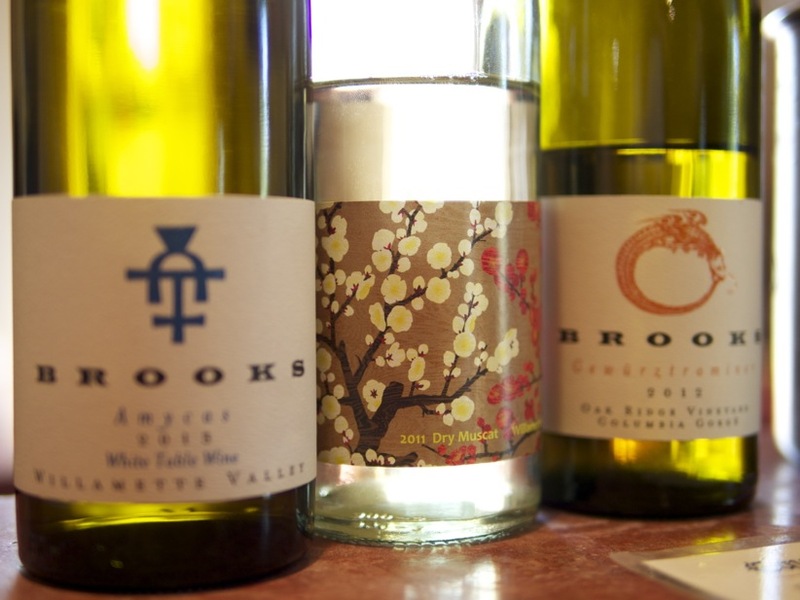 Highlights from Brooks were the 2013 Amycas white blend and the dry muscat. Bright, floral, and so very fresh! At Cristom, the grapes weren’t even done with verasion yet, while here in California we are already up to our eyeballs in harvest. 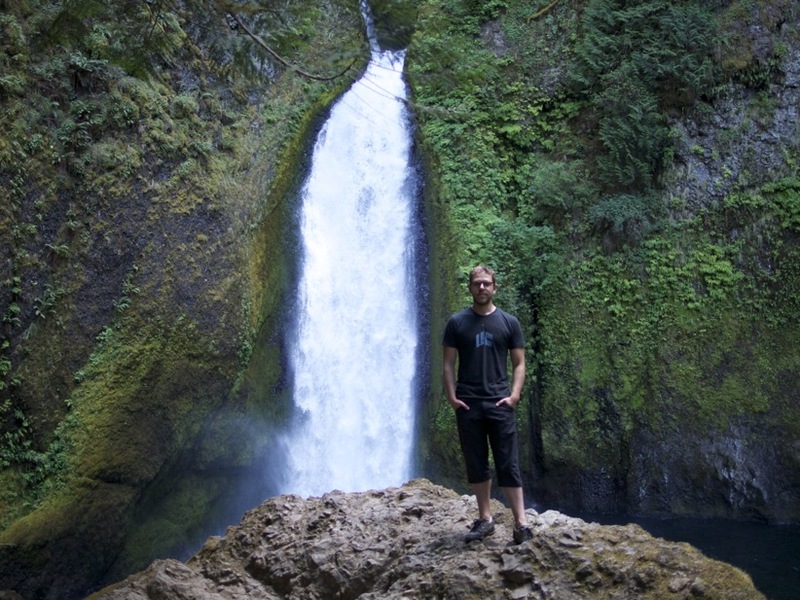 It was a great week off, and we enjoyed the spoils of the Pacific Northwest. If you find yourself up in Portland, make sure to head out to the countryside and buy some of those famous Oregon blackberries – the enormous ones. If they are fresh, they taste like a blackberry blossom smells. Loads of new wines will be added to the shop this week. Stay tuned for updates! Well, just this last weekend, Colleen bought me a night at our favorite somewhat-sketchy wine country hotel, The Sandman, as a birthday gift. It’s a magical place; loads of pillows, hot tub, pool, Carrow’s across the parking lot, and most importantly a waffle iron in the continental breakfast room. That’s right, after sleeping atop your mountain of pillows, you can wake up and go eat as many waffles as you can before you rupture your stomach, then get into the hot tub. It’s heaven. Rooms are only about $100 per night and they have good availability. 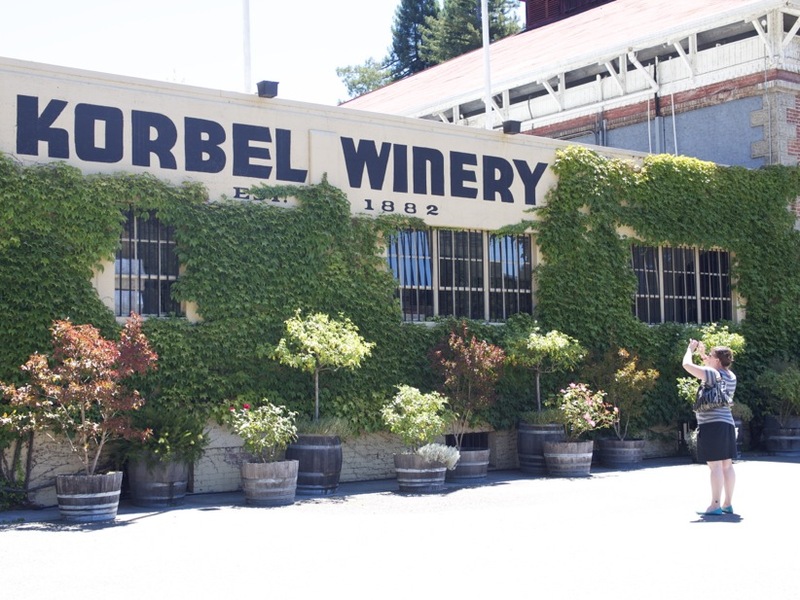 Looking for things to do to pass the time while in wine country (or Winelandia, we we call it), we decided that a trip to Korbel was in the cards. We are big fans of cheap-or-free things to do, and we’ve pretty thoroughly burned ourselves out on wine tasting in the area. At the very least, we thought it would be fun to pretend to be wine tourists for the day. The tour itself lasted about an hour and was led by a very enthusiastic guide. She showed us some of the older structures which were built when the winery was a saw mill. The land the winery resides on used to be a dense old-growth redwood forest, which was clear-cut to make room for the winery. 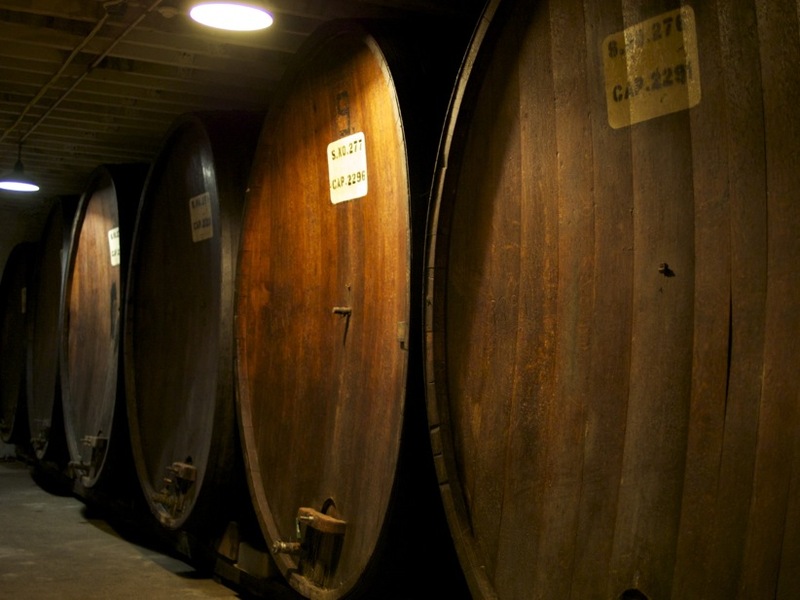 They milled and sold the wood to builders in San Francisco, and later built a winery. Next, the guide took us down to the old cellars, by far the most interesting part of the trip. 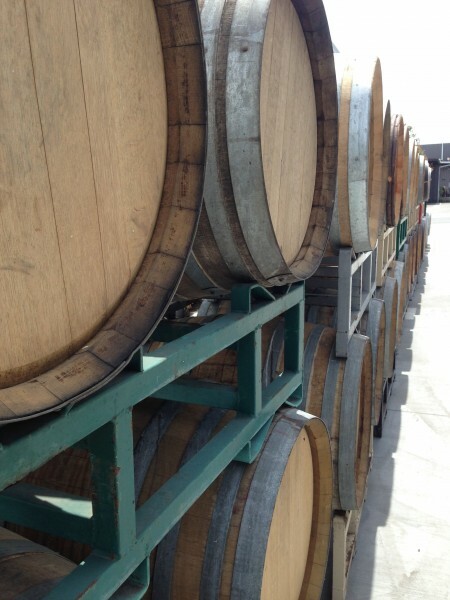 Down there they had huge, old, large-format oak casks, which until about 2012 were used for aging the Korbel wines. These casks were retired and left in the cellar since they would be difficult to remove due to their size. I noticed the barrel hoops were loose and the staves were beginning to separate, due to being left empty. 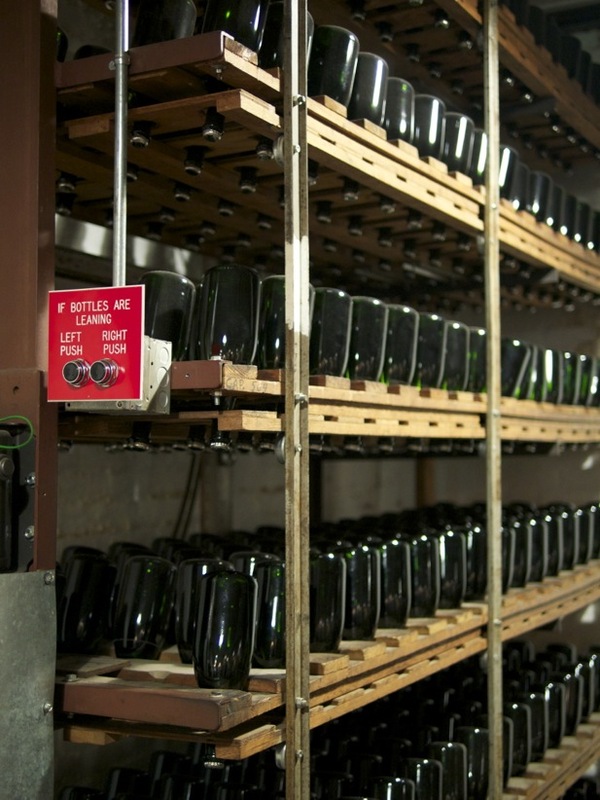 Next, we were taken to the area where the wines were riddled before riddling was taken off-site. 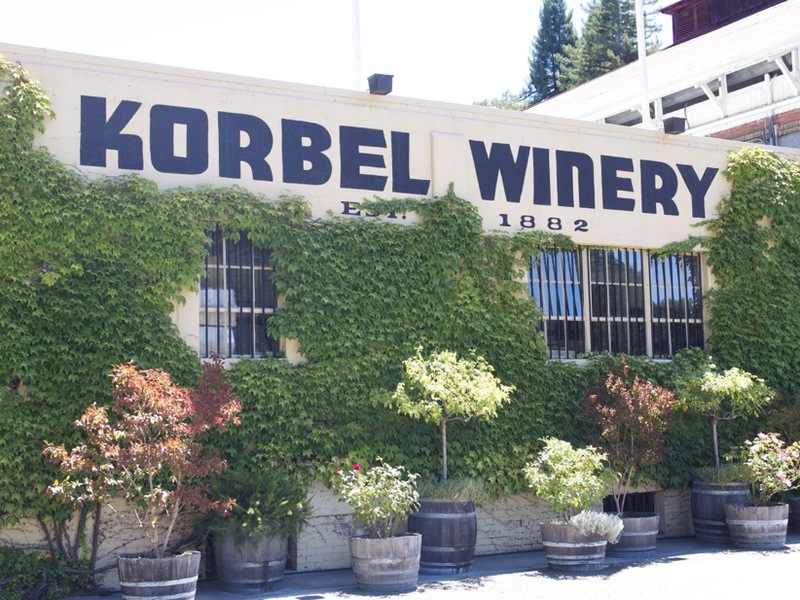 The second owner of the Korbel winery actually invented an automated riddling rack, which made the riddling process much easier and faster than doing it by hand. 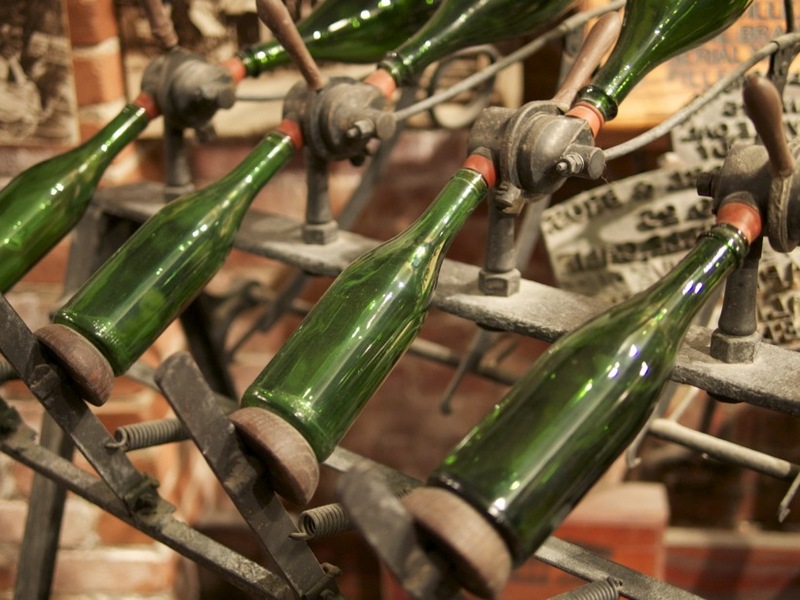 It was a pretty cool machine, and with the flip of a switch the bottles on the riddling machine would rattle and shake, then jolt into another position. The tour guide demonstrated this process, which was both noisy and fascinating. There were oddities all over this place, strange equipment from yesteryear that you would probably need a historian to identify. If anyone knows what this thing is, please let me know, because I couldn’t figure it out for the life of me (and was also too lazy to ask!). At the end of the tour, we were taken to a room which hosted the World’s Largest Bottle of “Champagne”, as well as the World’s Largest “Champagne” Goblet. This was definitely the icing on the cake. 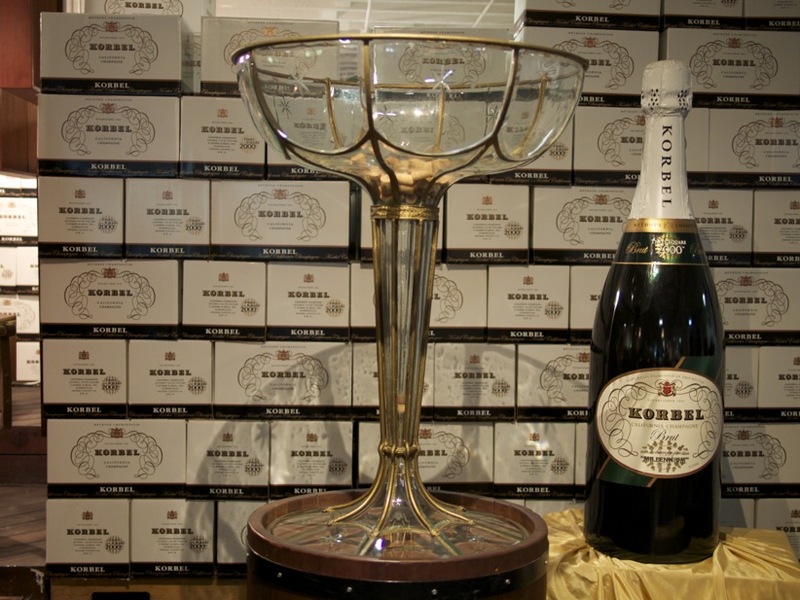 The only thing left to do was taste the “California Champagne” that made Korbel a household name. After being led to the tasting room, we tasted a flight of 8 wines, picking the ones we thought were most interesting. 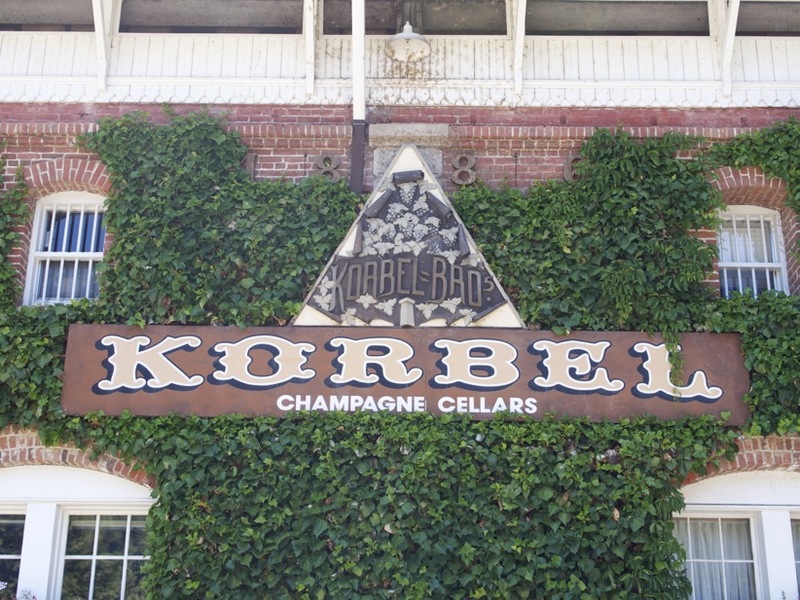 Our favorite was the Korbel Brut “California Champagne” made from organic grapes, which was the most palatable of all the wines. I lost it when we got to the “Moscato Frizzante California Champagne”, because there is just so much wrong with that sentence. Ever want to go wine tasting, but the idea of driving all the way up to wine country put the squash on your desire? Perhaps you’re without a car, and want to enjoy the spoils of artisan wine from the comfort of your own city? You’re in luck, because there are quite a few “urban wineries” all over the Bay Area. 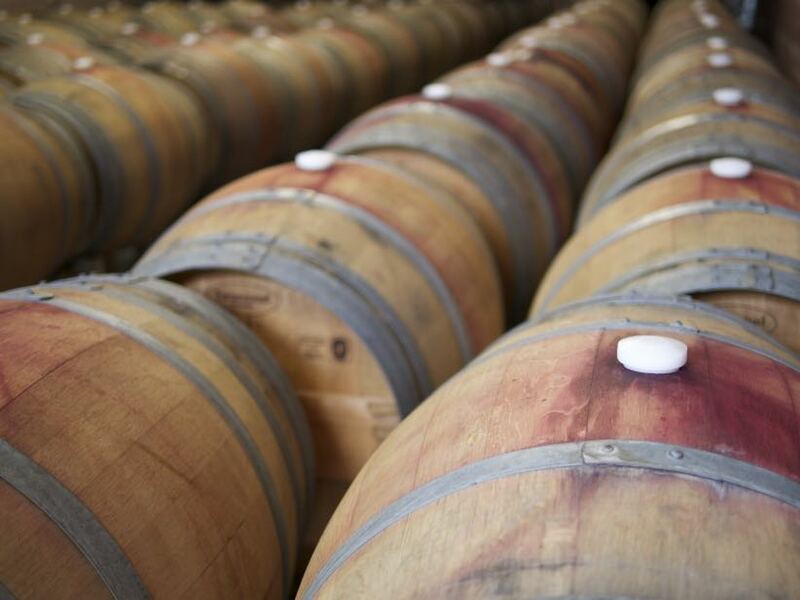 Whether you’re in the East Bay or San Francisco, there’s a winery for you. Here’s a list of our favorites! 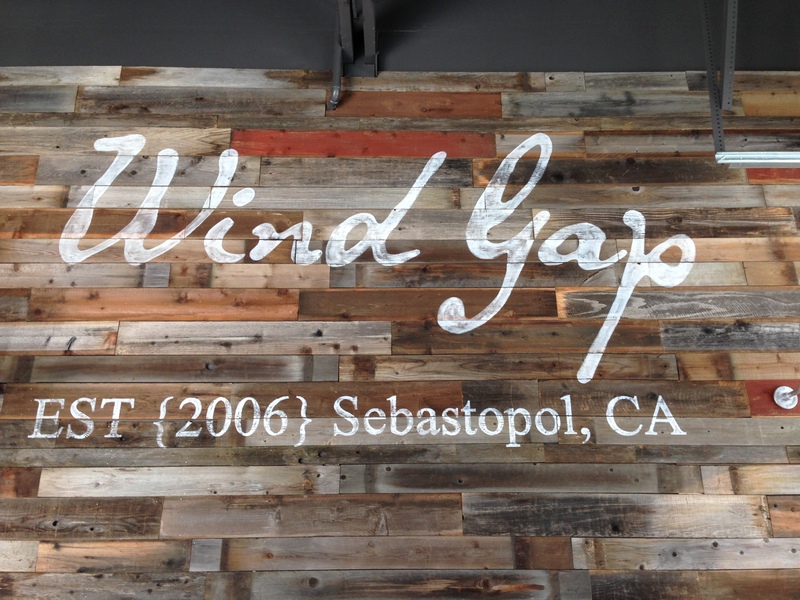 Campovida has a new urban winery in Oakland, opened just last year. 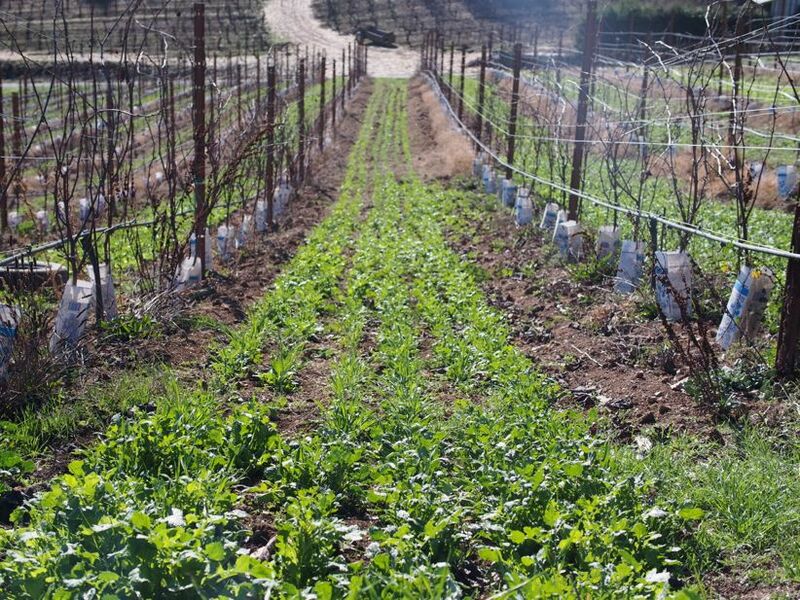 They produce several Rhone varietal wines from their organic estate vineyards in Hopland, CA. The new tasting room is located near Jack London Square, and it’s a beautiful space. If you are doing the urban winery circuit in Oakland, be sure to pay them a visit. Open Tues-Fri 4:30pm-9:30pm and Sat-Sun 12:00pm-9:30pm. $10 tasting fee for 6 wines, waived with the purchase of a bottle. There are a few wineries on Treasure Island these days, but Treasure Island Wines is by far my favorite. 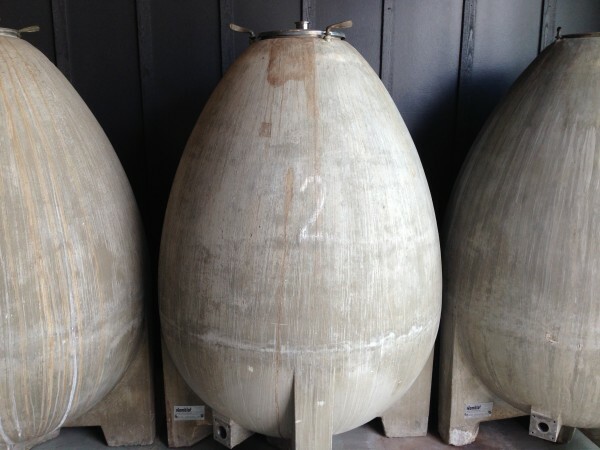 It’s a co-op space used by several winemakers that all share a facility and resources. 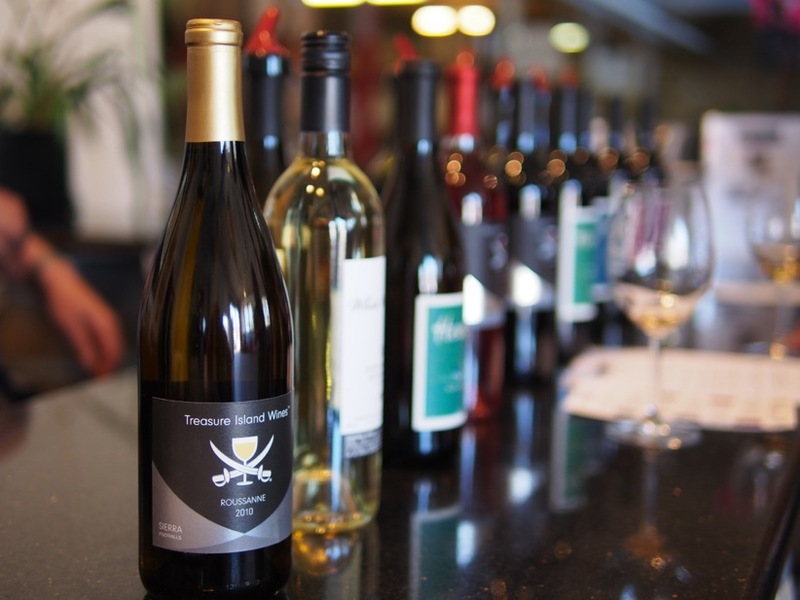 Come by this winery on a Saturday or Sunday to taste through a collection of wines produced in their facility. This is an excellent value since they will often pour through everything they have open. Open Saturdays and some Sundays from 1pm to 5pm. $5 tasting fee refunded with purchase. Bluxome Street Winery is a lovely winery and event space located in the SoMa neighborhood of San Francisco. It’s a fairly new facility but they make some tasty wines (mostly from the Russian River Valley AVA) and are open during the week. So, if you work in SoMa and are looking for a relaxing way to spend an afternoon, this is a great place to stop by and do a quick tasting at (or enjoy a whole glass of wine). They sometimes have a food truck parked outside. Open 12pm-7pm Tuesday thru Sunday. Tasting flights are $10-$15 and full glasses are $6-$15. Jared and Tracy Brandt are the proprietors of Donkey and Goat. 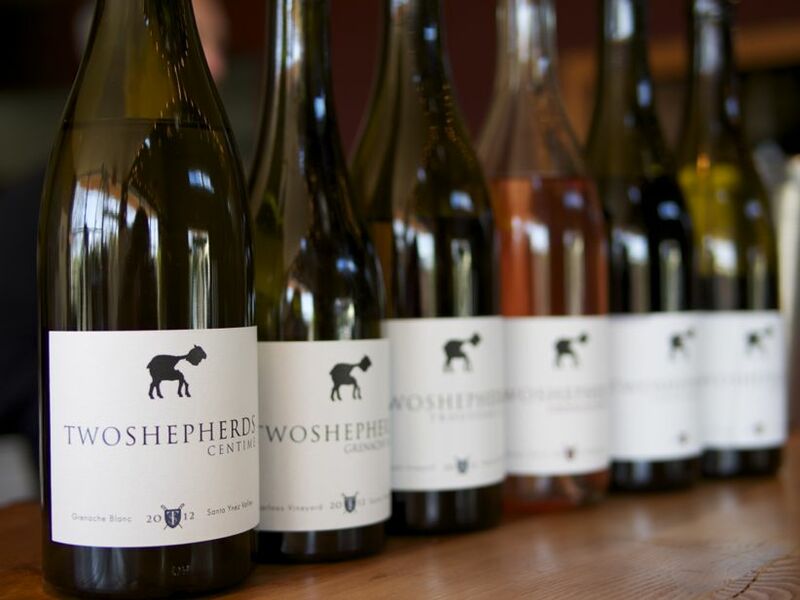 Their wines are super-natural and made with Rhone varietals, Chardonnay & Pinot Noir. Donkey & Goat produces soulful and unapologetically honest wines, paving the way for many natural winemakers in California. The tasting room is located near the fancy shops at 4th Street in Berkeley and you shouldn’t miss this if you are in the area. Tasting room is open from 2pm-6pm, Friday through Sunday. Tasting fee is $10 and waived with a purchase. Chris Brockway is the mastermind behind this great project, whose winery is located just a half a block away from Donkey & Goat. Brockway produces wines with a natural slant at a reasonable price point, mostly from lesser-known varieties. Stop by Broc Cellars if you are in the area and be sure to also visit Donkey & Goat while you’re there. Open Saturday & Sunday from 1pm-5pm. $5 tasting fee waived with purchase. Dasche Cellars is located right by Jack London Square and produces some really outstanding Zinfandel. I am particularly fond of their native yeast Zinfandels, which are both delicious and affordable. These wines are made in a more old-world style with older French oak barrels, low SO2 levels, and without fining or filtering. 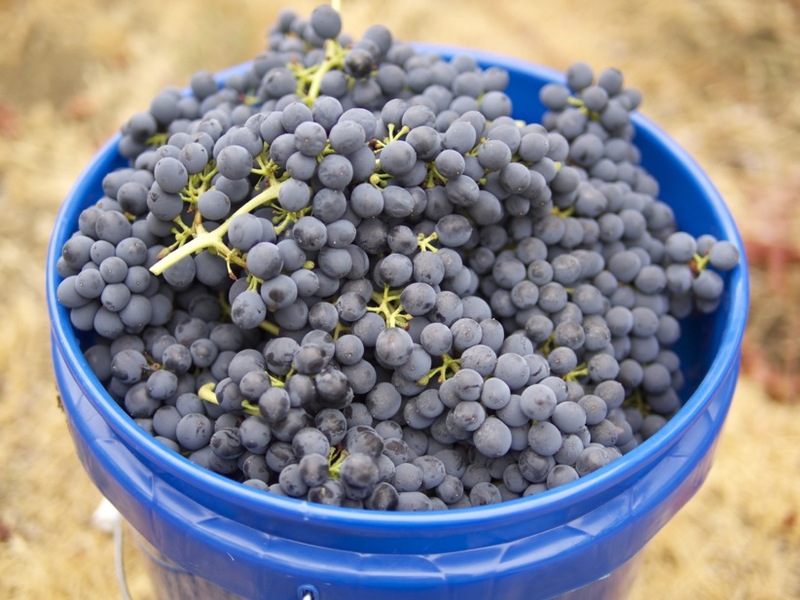 They also produce a rosé, Grenache, Cabernet Sauvignon & Petite Sirah. Open Thursday thru Sunday from 12pm to 5pm in the winter, and until 6pm in the summer. Tasting fee is $10 and refunded with a purchase. Remember when Winelandia first got started? 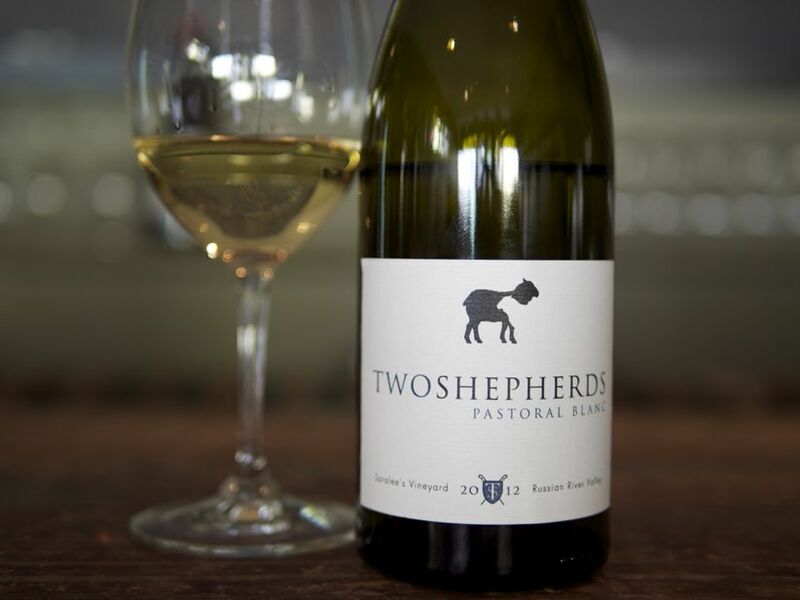 One of the first wines we offered was an interesting little Grenache Blanc made by wine blogger & garagiste-turned-pro winemaker William Allen under his label Two Shepherds. William makes a number of wines from Rhone varieties in very small batches – he only makes a half barrel of some of his wines. Many of these wines are classic in style, but William doesn’t shy away from experimentation – he makes a number of skin-fermented white wines and fringe varietal wines. I was fortunate enough to be invited to taste in his winery just this last Friday, and boy did he open a lot of new and exciting wines for me! 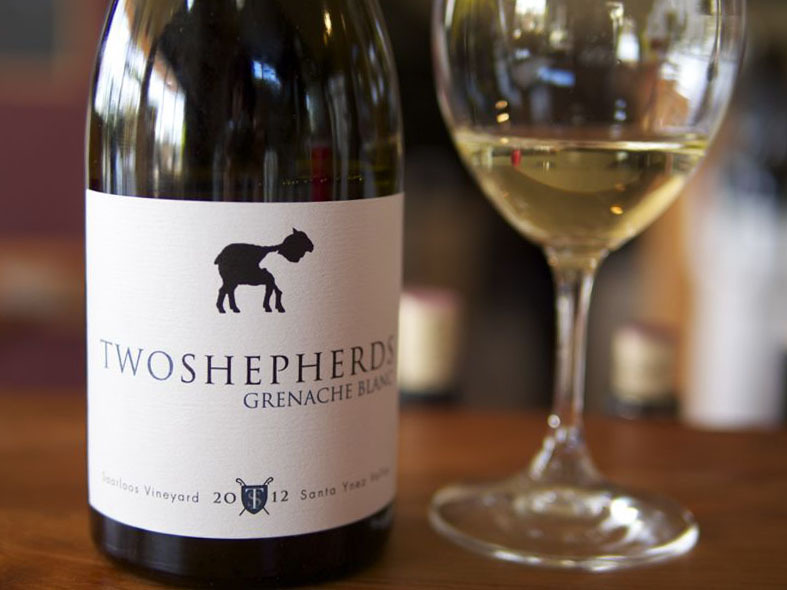 We started with the 2012 Santa Ynez Valley Grenache Blanc – the original wine Winelandia offered from Two Shepherds. It has come along quite a bit since the last time we tasted it – more secondary aromas and mineral notes are emerging, which is a sign of quality in a white wine. One of the key factors in what makes this wine great is that it’s aged on the lees in a combination of neutral oak and stainless steel – giving body to and softening the wine while also preserving it’s freshness. A very rich and complex example of a varietal wine that is typically a simple porch-pounder. 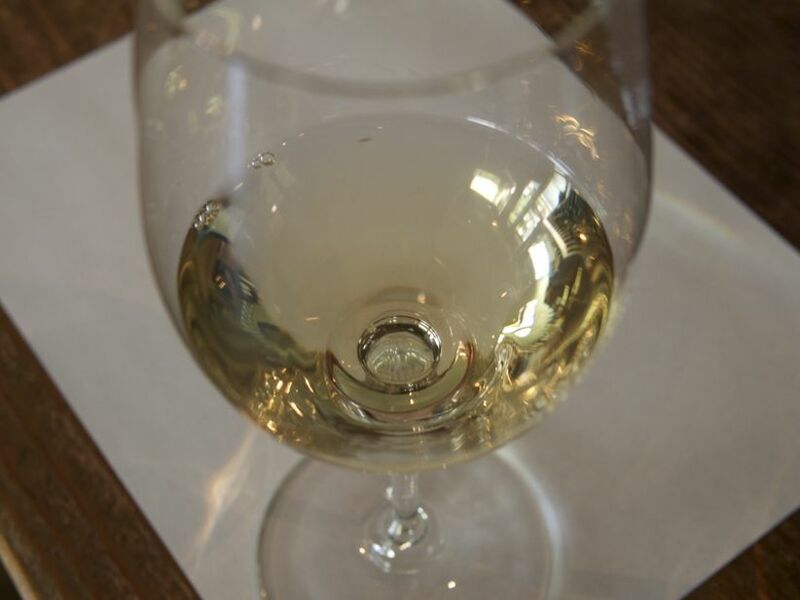 Next we tasted his 2012 Russian River Valley Pastoral Blanc, a blend of Marsanne, Roussanne, Viognier, and Grenache Blanc from Saralee’s Vineyard – the only vineyard in the Russian River Valley AVA growing Marsanne and Roussanne. It was rich and velvety with notes of stonefruit, white flowers, mineral, and spice, with present and balanced acidity. While it’s showing beautifully now, I’m certain it will continue to increase in complexity for years to come. I loved this wine so much, I picked some up for the shop. One of the wines I was most excited to taste was up next, William’s 2012 Fanucchi-Wood Vyd. skin-fermented Trousseau Gris. Perhaps you’ve heard me shout from the rooftop, proclaiming my love for Trousseau Gris. It’s a special and rare variety, originating from the Jura region in France. 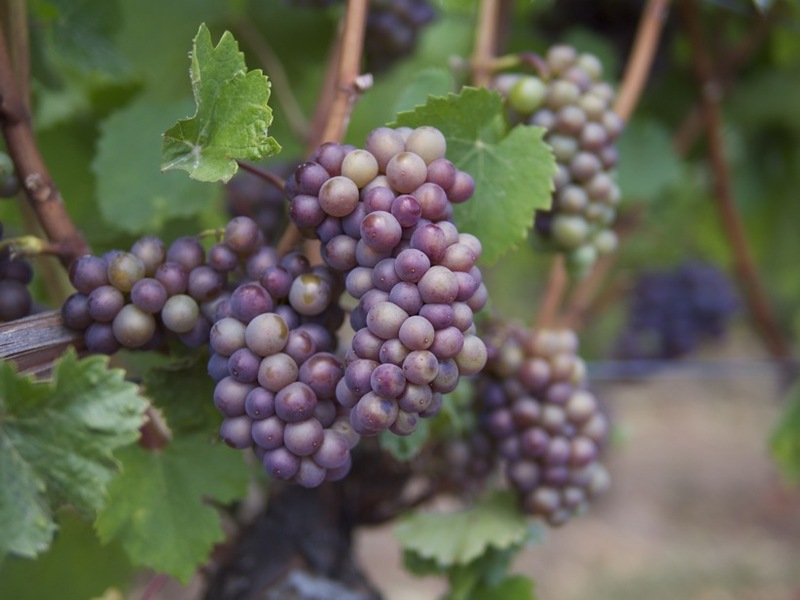 Trousseau Gris is gray grape, a mutation of the red Trousseau variety, and there’s only 10 or so acres of it planted in California, most of which is owned by the Fanucchi family in the Russian River Valley. That’s the vineyard William got the fruit for this wine from (Wind Gap & Jolie-Laide also make delicious wines from this vineyard) and it was a treat to experience his interpretation of it. The color is a rich coppery-pink, and on the palate it’s full of texture and lovely, juicy fruit and spice. The wine spent a full 10 days fermenting on the skins, where it extracted truckloads of character – this is a geeky wine for sure. Next up was the 2013 Mendocino County Grenache Gris Rosé. 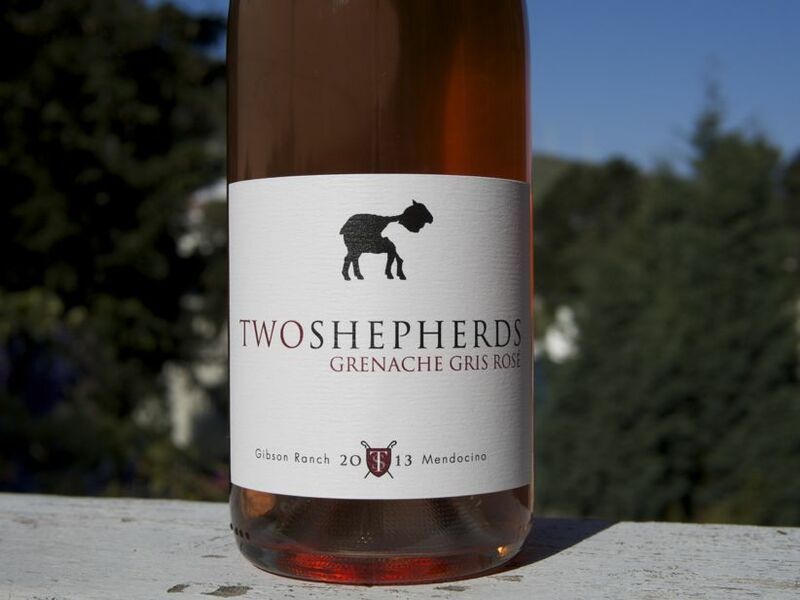 A very special wine made from a rare grape, Grenache Gris, a mutation of the well-known Grenache Noir. The vineyard is a unique site, where the vines are dry-farmed, head trained, and over 100 years old. 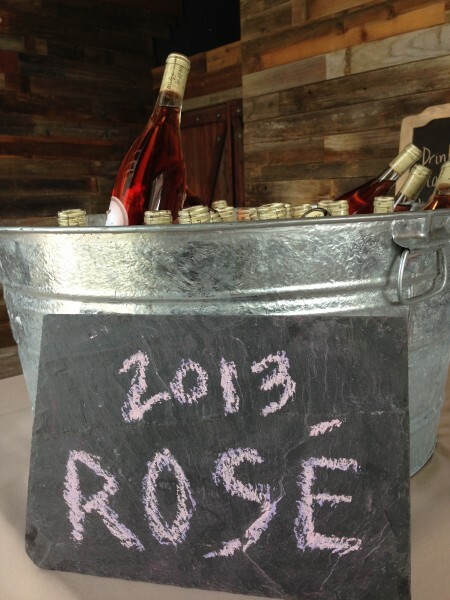 This brand-new 2013 rosé was simply beautiful – rich and herbal, with loads of texture from 7 days of skin contact. Although it’s a fuller-bodied rosé, it retains tons of brightness and energy – it’s absolutely lively and juicy on the palate. It’s showing beautifully now, and will only get better by Thanksgiving. Just 33 cases were made, and I picked up just a few bottles for the shop, which you can buy here. All of these lovely white, pink, and orange wines aside, William also makes extraordinary red wines from Rhone varietals. 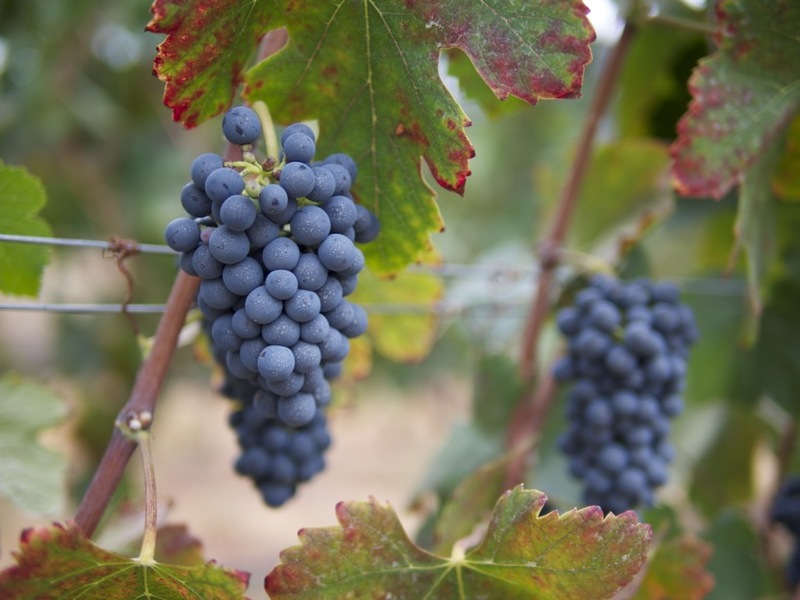 There’s a cool-climate 2012 Grenache Noir from the Russian River Valley; a 2011 Syrah/Mourvedre from the Russian River Valley & El Dorado AVA; and his flagship red blend, the 2011 Pastoral Rouge – a blend of Grenache, Mourvedre, and Syrah. All of the red wines are rich and textural, without being heavy or over-extracted, while showing grace, finesse, and restraint. 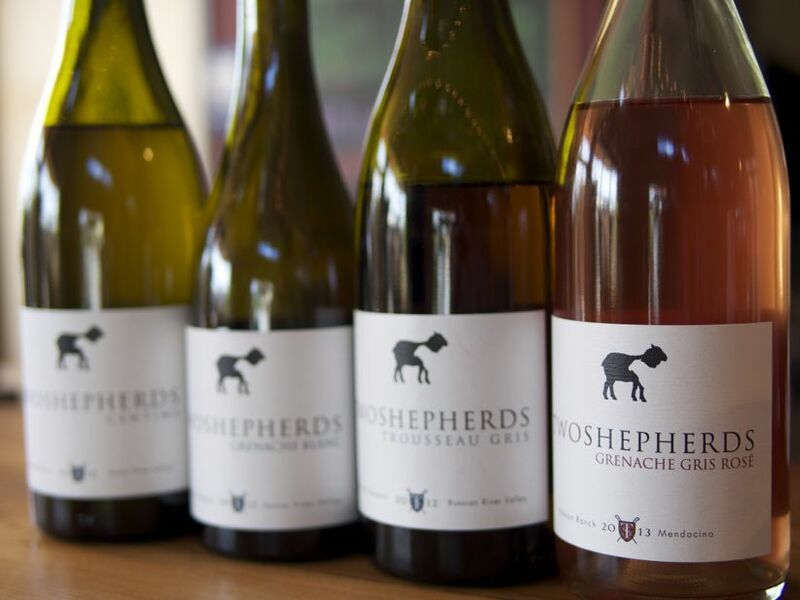 Two Shepherds is a winery to keep an eye on – it hasn’t been around for long but William is already making wines that rival those of the rockstars of the region. Big thanks to William for hosting me at his winery and opening so many of his treasures to share – I am very excited to see how these wines age and what he’s up to next. This drought is really something, isn’t it? There’s something eerie about it being 65 degrees on a January afternoon, wispy clouds dotting the horizon after the only rain we’ve had so far this winter – if you could even call it a rain. More like a dampening. Enough to keep the dust down. Anyway, it was this day after the “rain” that Tala and I headed out to Winelandia again, to visit a producer we love. 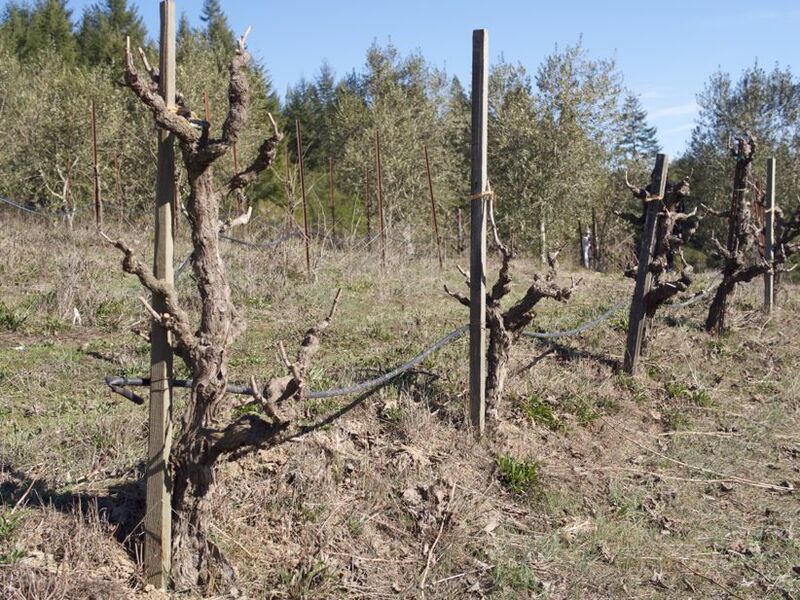 Luke Bass is the wine grower/proprietor of Porter-Bass Wines outside of Guerneville. 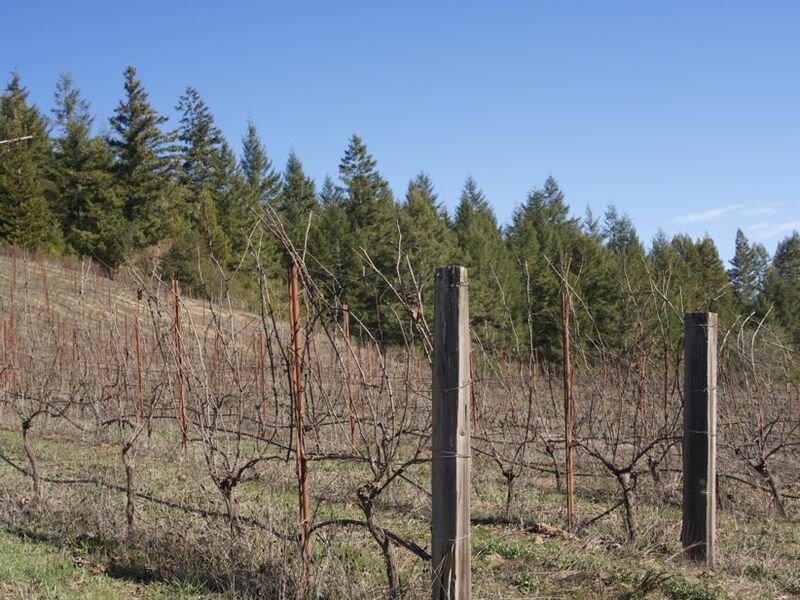 This property, deep in western Sonoma county, tucked right near the Russian River, produces Pinot Noir, Chardonnay, and Zinfandel in small quantities. They sell fruit that becomes some of the most sought after Chard in the area – Ceritas makes a Porter-Bass Chardonnay, as does Littorai. 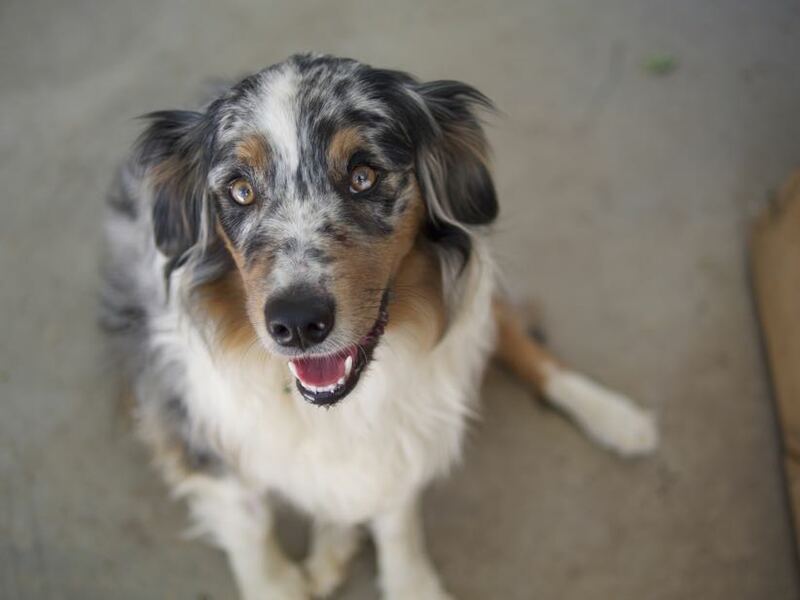 But Luke also makes his own wine from this property – entirely biodynamic in the vineyard and the winery, and we think a great secret of Sonoma wine country. The wines are fresh and lively, with great acid and subtlety. Perfect for sipping with friends, but balanced and very food-friendly too. Tala and I have been impressed with the Chardonnays for quite some time, because they’ve got a great zingy acidity that many California Chardonnays lack, but they don’t compromise on texture either. What a great find! The Pinots are bright and fruity, and the Zinfandels are almost ethereal. Floral, light, and just… Just delightful. I feel precious even describing wine that way, but they are just a delight to drink. On this afternoon, it was like the wines and the air were mimicking each other – each trying to upstage the other with more freshness and brightness. Surrounded by redwoods and pines, the small property is about as idyllic as it gets for California wine country. I mean, I think Healdsburg and Alexander Valley and Calistoga and the Santa Cruz Mountains and Forestville – all these places are stunning. But visiting Porter-Bass feels like you’re discovering something, which is hard to say about wine country these days. It kindof feels like a secret. Clean air, crisp wines, just you and Luke and a few bottles of his great product. 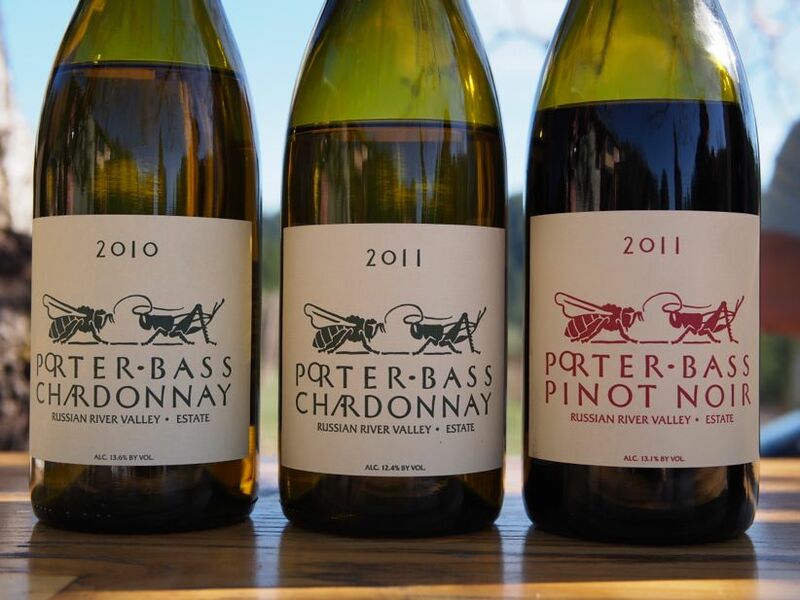 I hadn’t been to Porter-Bass in a year or more, and I was reminded how great these wines taste, and how great a property it is to visit. Luke is a character, with plenty to say about how he makes his wines and why, and great thoughts about the present and future of the industry that surrounds him. It was a wonderful Sunday adventure, and our first visit to the wine country in quite some time. In particular, we recommend picking up a bottle of Zinfandel – you won’t regret it! It’s a great bottle to show you what Zin can become in a different setting, in a different pair of hands. Porter-Bass is open by appointment only. They’re located on Mays Canyon Road outside Guerneville, CA. If you visit in spring or summer, ask Luke if he’s got any spare eggs. They’re amazing.